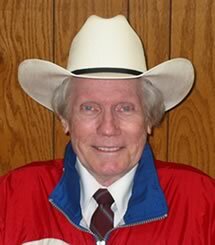 AKA Frederick Waldron Phelps, Sr.
Fred Phelps was a self-described "Primitive Baptist" preacher fixated on the few Biblical passages that mention homosexuality. He was the pastor of Westboro Baptist Church in Topeka, Kansas, where he preached that "God hates fags", and that the Biblical punishment for homosexuality is death, followed by eternal damnation to hell. His church was largely populated by the Phelps family, and they are best known for their demonstrations -- holding garish placards writ with vulgar stick-figure slogans and singing upside-down hymns reworked to fit Phelps' message. The group publicly celebrates God's wrath after tragedies and natural disasters, and since September 11 they have regularly picketed the funerals of American soldiers killed in Iraq. Phelps was ordained a minister at 17, as Southern Baptists did not require ministers to be graduates of any seminary. He first made national news in 1951 when, attending John Muir College in California, he led a campus campaign against "promiscuous petting, evil language, profanity, cheating, teachers' filthy jokes in classrooms and pandering to the lusts of the flesh". He began leading anti-gay protests in 1991, and reached his pinnacle of fame when he and his followers demonstrated at the funeral of Matthew Shepard, carrying signs announcing that Shepard was already burning in hell. At Phelps' website, "godhatesfags.com", his followers provide a daily count of the number of days Shepard has been burning in hell. According to church statistics, by 2005 his church had staged more than 22,000 anti-gay protests across the nation and around the world. If that estimate can be believed, it represents more than 3½ protests every day since 1991. Until his death in 2014, Phelps routinely led pickets against all things homosexual, including any public figure who believes gays should have civil rights. He became especially disgusted with Jerry Falwell, after Falwell said nice things about a former employee who came out of the closet. Due to budget constraints, most of WBC's protests are in and around Topeka, Kansas, where, as you might guess, the Phelps family's presence causes persistent eye-rolling. Some former followers of Phelps say they saw him repeatedly slap his ten-month-old son during church services, when the infant began to cry. Others say Phelps' idea of "marital counseling" was to recommend wife-beating. "Brethren, they can lock us up, but we'll still do what the Bible tells us to do. Either our wives are going to obey, or we're going to beat them!" I believe in God and the Bible, and my father's behavior doesn't fit the description of behavior that would show in the life of one who loves God; behavior characteristics such as Love, Joy, Peace, Longsuffering, Kindness, Goodness, Faithfulness, Gentleness, Self-control. Instead, my father's behavior characterizes, I believe, Hate, Outbursts of Wrath, Contention, Jealousy, Vengefulness, Misery, Harshness, and Selfish ambition. He mis-states the truth about his own behavior, about others, about the Bible, with apparent ease and regularity. He behaves with a viciousness the likes of which I have never seen. He accepts no genuine accountability in his life and is subject to no one. His lifestyle betrays the sacred trust of what a pastor, husband, father and grandfather should be. I suppose if a comparison were made between the life of Jesus Christ and my father, there would not be much to compare. I believe that Topekans are making a good effort to try and stop him and should continue to do so. He can seem very intimidating. He can use foul language and come across with a booming voice to the community, but the truth is, like the Wizard of Oz, when Toto pulls the curtain back, instead of this big powerful individual, it's only a small, pathetic old man. I feel sorry for my father as I would for anyone who displays this kind of hate and evil viciousness. These can only be the manifestations of tortured, injured and agonizing souls." For obvious reasons, Westboro Baptist Church is no longer affiliated with the Southern Baptist Church. It is based in a circle of houses in a middle-class Topeka neighborhood. In one house, Phelps raised his family, and eventually the neighbors' houses were purchased, effectively creating a compound. All the houses share a large fenced backyard. To Phelps' congregation he was "Gramps" -- nine of his thirteen children belonged to the group (four having fallen away), along with dozens of grandchildren and a handful of followers unrelated by blood. The adults hold jobs and the children attend school, but they otherwise do not associate with outsiders. All of them, even the youngest children, are expected to join in the pickets. Phelps was a prominent civil rights lawyer for many years, arguing and often winning cases where black plaintiffs complained of illegal discrimination. "God hates fags," he said. "He doesn't hate blacks." In 1987, Phelps received an award from the local branch of the NAACP, recognizing his "undauntedness" and "steely determination for justice". Later in his life, however, "black" became part of Phelps' glossary of insults, with press releases attacking various leaders as "black whores", "black faggots", and so on. He was suspended from the practice of law for two years beginning in 1969, on three counts of professional misconduct. He was disbarred in 1979 for showing "little regard for the ethics of his profession", after several of his court filings seemed to be increasingly at odds with the facts of the assorted matters. The family's law firm continues to operate. Of Phelps' children, all adults, at least 11 are lawyers, and several work for the family firm. Phelps co-wrote a 2000 documentary about himself, Fred: The Movie, and Westboro Baptist Church funded it. BBC filmmaker Louis Theroux spent three weeks living with the Phelps family, trying to understand them and their crusade, producing the skeptical, yet humanizing documentary The Most Hated Family In America (2007). Phelps was a frequent participant in Democratic primaries for Governor of Kansas.